The World Heritage Sites of France is a travel guide dedicated to the most beautiful French locations and monuments classified under the UNESCO World Heritage of Humanity label. It includes the same essential information as a traditional paper travel guide, as well as enriched online features: tour itineraries, interactive mapping, hundreds of illustrations, links, social networking,... In addition, all the practical information (opening time, fares, visits,...) are updated regulary. The World Heritage Sites of France is a travel guide dedicated to the most beautiful French locations and monuments classified under the UNESCO World Heritage of Humanity label. The guide is available in e-Book format on Amazon.com or online at www.france-patrimoine-mondial.com. This exciting guide invites the reader on a wonderful journey to discover the most beautiful monuments, historic cities and breathtaking landscapes of the country. The World Heritage sites come alive through Jerome Sabatier’s pen, and are enhanced by hundreds of photographs that allow readers to connect with the places shown. Every tourist destination is detailed with historical, cultural and practical information, making this guide ideal for travelers wishing to visit the country through planned trips. Real-time updates online provide reliable information (fares, schedules, visits, closures or construction ...) that traditional travel guides cannot provide. The interaction between the website and the e-Book is an excellent example of complementarity, for travelers. The different sections of the guide allow you to go directly to the information you want, depending on your priorities and interests. Whether you are fond of religious heritage, castles, cultural landscapes or vineyards, whether you are interested in prehistory, antiquity or the Middle Ages, and whether you prefer cities, and most important of these, Paris, your discovery is possible through this guide. Comprehensive, informative and educational, this travel guide is for those who wish to discover the richness and diversity of French heritage. 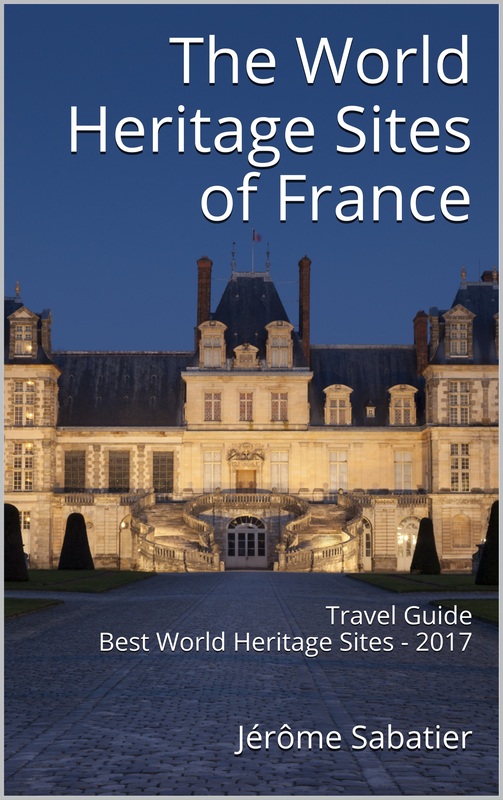 The World Heritage Sites of France Travel Guide, Indie Reader Award Winner 2016 - Travel category.